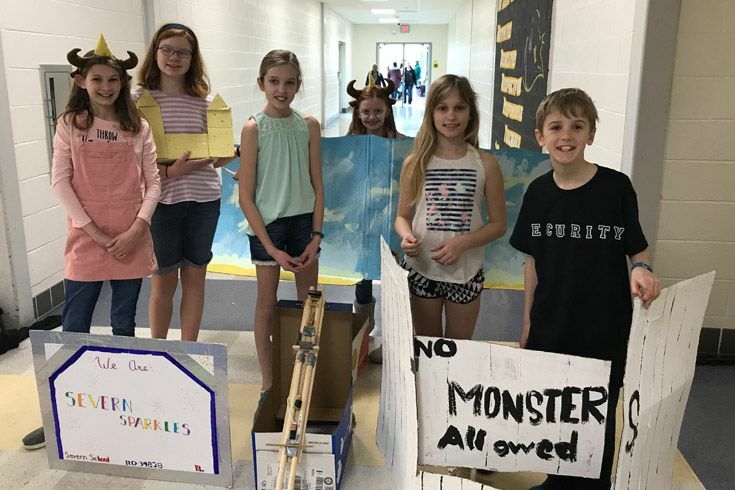 Driven by curiosity, courage and creativity, our Lower School recently competed in the Destination Imagination regional tournament at Dr. Henry A Wise, Jr High School in Upper Marlboro. 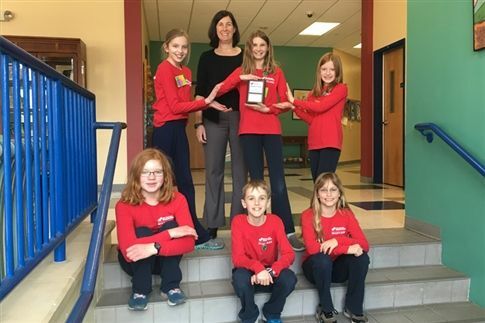 With the support of faculty advisor Ms. Hayman, our enthusiastic team of 5th graders, Severn Sparkles, ranked 3rd in the Monster Effects engineering challenge, bringing home a plaque to display at school with big smiles all around. 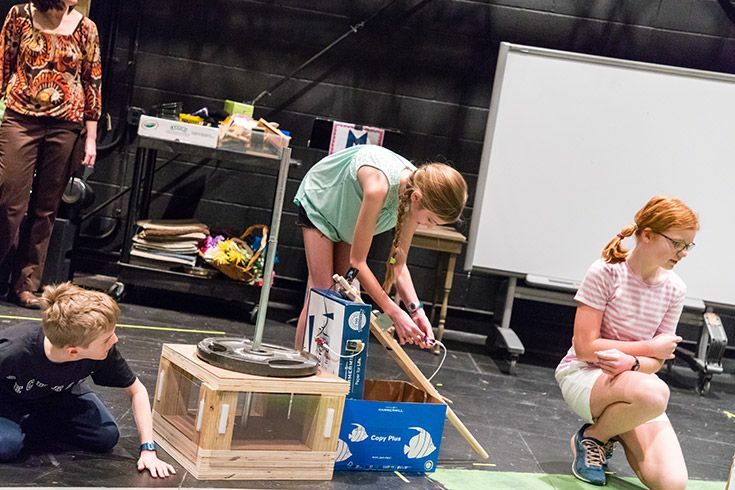 Destination Imagination is a fun, hands-on program that fosters students’ creativity and curiosity through open-ended academic challenges in the fields of STEM, fine arts and service learning. The curriculum includes long- and short-term team projects culminating in judged, live performances. With the guidance of a faculty advisor, teams have the freedom to work on their own through each challenge. The program emphasizes the value of independence as students work through the creative process from imagination to innovation. Destination Imagination has two main parts — the central challenge and the instant challenge. The central, long-term challenge centers around engineering, arts and tech and involves extensive planning, research, iteration and review. The instant challenge requires a slightly different set of skills as students must use quick, creative, critical thinking strategies to succeed. Over the course of six months, each team completes dozens of simulated instant challenges to prepare for their tournament performance while concurrently working on the long-term central challenge. Team Severn Sparkles at the regional tournament in Upper Marlboro. Demonstrate how much weight the structure holds without failing by stacking a pressure board and weights onto it and then removing them. Demonstrate how the structure triggers the sudden appearance of a monster. Each team was judged on their design and engineering skills along with how creatively they incorporated technical elements into the storyline of the skit. After competing in the tournament, our DI team staged their performance for the entire Lower School. Although the overall goal of the program is for students to participate in the regional, state or global tournaments, the real value lies in the months of preparation leading up to those events. Our students work through the design process as a team, they develop valuable interpersonal communication skills, practice working under deadlines and with limited resources, and learn to see every stumbling block as a stepping stone to the next great idea. Severn Sparkles sporting their team shirts!